​Holly Latham has been employed as a Forensic Scientist since 1999. Her current duties include latent print and bloodstain pattern analysis in addition to serving on her agency’s Crime Scene Response Team. Holly also is the Technical Leader for her agency’s Bloodstain Program and is responsible for authoring the BPA Training Manual and SOPs. Holly holds a Bachelor of Science Degree in Microbiology from Kansas State University and a Master’s Degree in Justice Studies from Fort Hays State University. Holly is court qualified as an expert in bloodstain pattern analysis and latent print examination. She has instructed classes on bloodstain pattern analysis in fourteen states, Canada, and for the National Forensic Academy (NFA). Holly is the Executive Secretary of the Bloodstain Pattern Analysis Subcommittee for Organization of Scientific Area Committees (OSAC), is a member of the Bloodstain Certification Board for the International Association for Identification (IAI), and serves on the Editorial Review Board for the Journal of Forensic Identification. 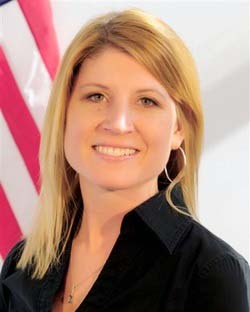 She is also the Regional Representative and Chair of the Bloodstain Certification Committee for the Kansas Division of the IAI. Holly is both a Certified Bloodstain Pattern Analyst (CBPA), and a Certified Latent Print Examiner (CLPE).